JUNEAU — Alaska lawmakers could lose more than $20,000 in income if a new set of recommendations by a state salary commission becomes law next year. The four members of the State Officers Compensation Commission voted Wednesday to propose slashing legislators' $50,400 annual salary by 10 percent, to $45,360. They also voted to recommend replacing lawmakers' special system of per diem, which pays more than $200 for daily lodging and meal expenses, with the less-generous system used by state agency employees. For long-term assignments — like the 90-day regular legislative session — the new system would provide for daily expense payments capped at $78 for meals and lodging. Earlier this year, state lawmakers were getting as much as $295 daily to cover the same expenses, though the exact amount fluctuates depending on the season. Under their current system, lawmakers are entitled to some $80,000 a year in salary and per diem — though that assumes they meet for a 90-day regular session, which has been far exceeded in each of the past three years. The commission's proposal could reduce that total by one-fourth. "I will just be painfully honest with you: If you're running for elected office for the cash, I don't want you," said Duane Bannock, the conservative former talk radio host from Kenai. Bannock, who was recommended for his commission seat by Nikiski Republican Rep. Mike Chenault, the former House speaker, said in a phone interview Wednesday that he suggested the salary and per diem recommendations himself — though his first proposal was a 15 percent pay cut. Legislative salaries haven't budged since 2010, and the commission's meeting was its first in two years. Its unanimous recommendations are only preliminary; they still must be drafted into a formal proposal that will then be released for public comment. After that, the commission will hold at least one more meeting to finalize the recommendations, then forward them to the Legislature at the start of next year's regular session in January. State lawmakers will then have two options: accept the recommendations, or pass a bill within 60 days that blocks them from taking effect. 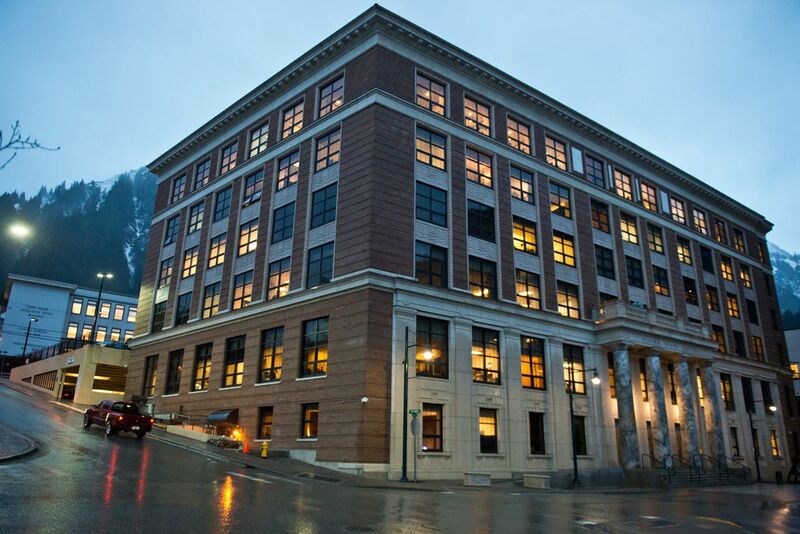 The commission's four members — a fifth seat is vacant — convened Wednesday morning in a windowless conference room on the 17th floor of the state-owned Atwood Building in Anchorage. The only other person who attended was the state personnel director, Kate Sheehan, who acts as the commission's secretary. The commission's proposals came as news to lawmakers, who are currently in Juneau for a special session — their fourth of the year. They've spent more than six months, in total, in legislative sessions this year. "My first reaction is: I'd have to think about it," said Nome Democratic Rep. Neal Foster. "Personally, I'm fine. There are some people who are out there who are young, with families; it might affect them." Public scrutiny of lawmakers' per diem system has tightened in the past few years, with lawmakers resisting changes even as they make sharp cuts to state programs. Late in this year's legislative session, the Legislature abandoned a House proposal to sharply reduce the payments. The Legislature has pegged its expense system to the one used by the U.S. Department of Defense, and critics point out that the untaxed payments of more than $200 a day far exceed what lawmakers need to survive during the regular session. Juneau lawmakers also get the payments — though they're taxed and 25 percent less than other legislators' — even though they live in their own homes. 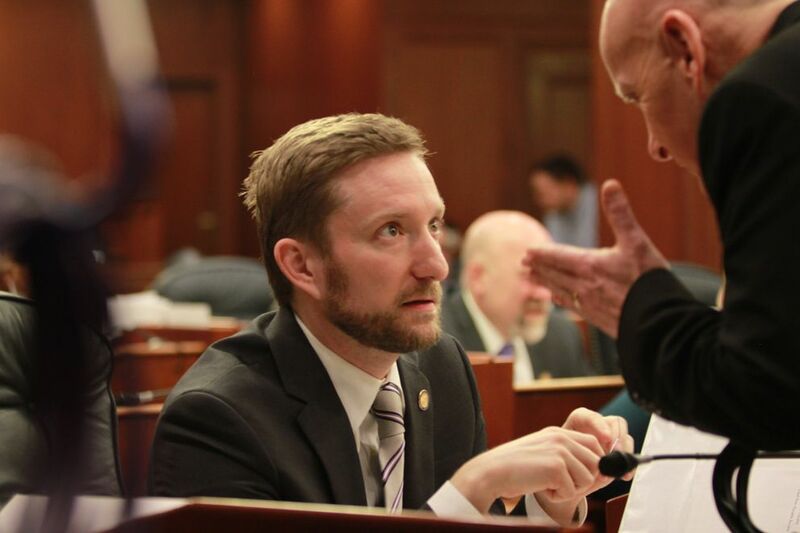 Two state representatives — Anchorage independent Jason Grenn and Sitka Democrat Jonathan Kreiss-Tomkins — have joined with a Republican activist, Bonnie Jack, to sponsor a citizens initiative targeting the payments. Grenn, in an interview Wednesday, said he'd lean toward supporting the commission's recommended reductions as a way to boost public trust. Under the current per diem system, he said, "I think people look at that amount and say, 'There's no way your expenses are that much.' "
Grenn, a freshman with three young children, campaigned on reforming per diem and started turning it down when lawmakers got to the end of their regular session in May — subsisting on ramen noodles and peanut butter sandwiches. 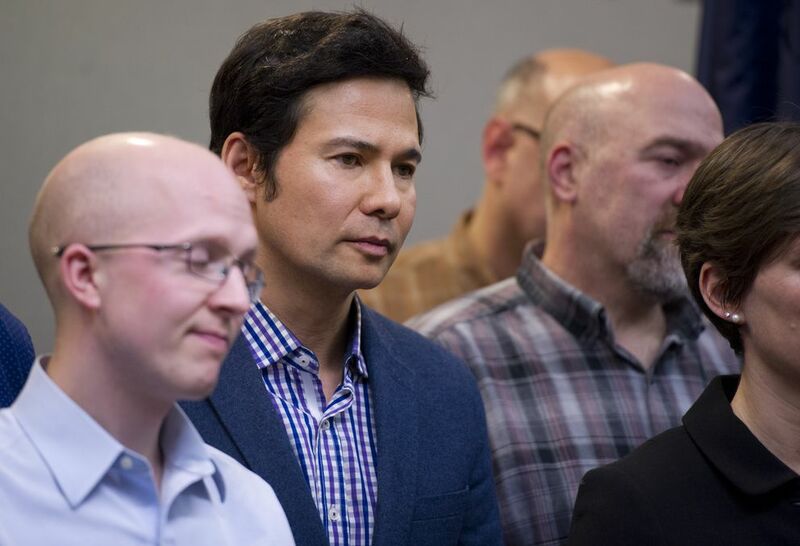 He's since turned to driving for Uber and recently registered to be a substitute teacher in Anchorage, and he said that legislative compensation should strike a balance. "I truly believe that this is a professional job, and like any professional job, you want to have a salary and benefits package that attracts professional and educated people," he said. "At the same time, this is public service." The commission, meanwhile, left untouched the salaries for the governor and lieutenant governor, which are $145,000 and $115,000, respectively. Bannock said he proposed the cut to legislators' expense payments because he'd heard public dissatisfaction "with people making money on our per diem schedule." "I didn't make these recommendations to hurt anybody. I have a lot of friends in the Legislature," Bannock said, before correcting himself: "I had a lot of friends in the Legislature."